Two Laurier varsity teams excelled at OUA championships over the weekend. 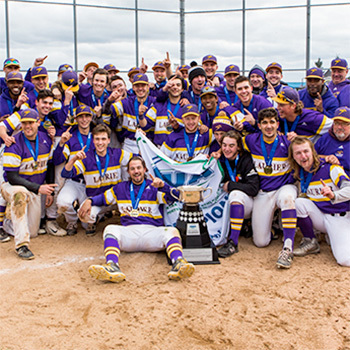 The Golden Hawk men’s baseball team won their second OUA championship with a 4-3 win over the Toronto Varsity Blues. The women’s Golden Hawks lacrosse team won OUA silver in a tight game with the Queen’s Gaels, who captured gold. For more on both games, visit Laurier Athletics and Recreation.